Love this!! I use Stitch Fix but it can get expensive and I have to really spread them out - like every other month or longer. Still I find I love the pieces I get for the most part. I have to look into Le Tote more seriously. I have thought about using Rent the Runway when I have some weddings coming up next year. I hate buying dresses and then only wearing them once!! Great post! Oh my goodness - for a South African that is just tooooo weird... Love those green shoes...!! Please tell me they are yours and you didn't rent them too! I've been meaning to get into this and Le Tote sounds like the perfect place to start. i'm always going to special events (okay maybe not always...but enough times that i do like to make an impression) so i am looking for cute dresses. Lovely post! Interesting. I really like how there are food subscription boxes; wish I had those when I was single. And you looked fabulous in that dress! How interesting. It sounds like a really great idea. How often to we buy clothes and hardly wear them. This sounds like a fab service or services really. Dress looked great! Now I wish they had something like that here in NZ. Maybe one day. 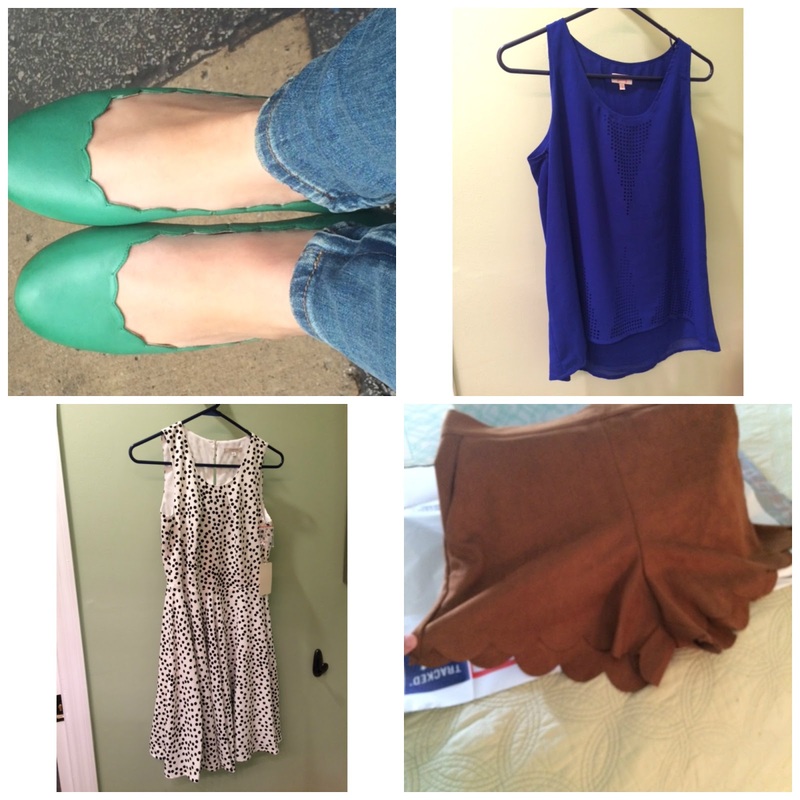 I've only read reviews on StitchFix, so it was nice to see what you think of some other clothing subscriptions. Le Tote sounds like a good one. I like the idea of just renting pieces when you need them, but it's nice that you CAN buy a piece if you really love it. I hate shopping..lol These are all great options. I love the dress on you! I'm not a fan of shopping either, but I'm so hard to fit (short, extremely curvy, and currently overweight as well) that I've been leery of services like these because the choices are more limited. But I'm impressed with your experiences, especially with Le Tote and Stitch Fix, and might consider trying one in the future. Thanks for the comparison - I've been wondering about what made one service preferable to another. Thank you for posting this!! I've never heard of Le Tote but I do Stitch Fix. And you are so beautiful in that dress from Rent the Runway!! LOVE!! !